I would, but sadly I'm across the ocean. LOve the green t-shirt. I only wish it were true! Super shot. Ciao. A.
I love the text on the t-shirt 'No money no problems'. I bet that's why the girls don't have any eye for him. They flirting with you :)? 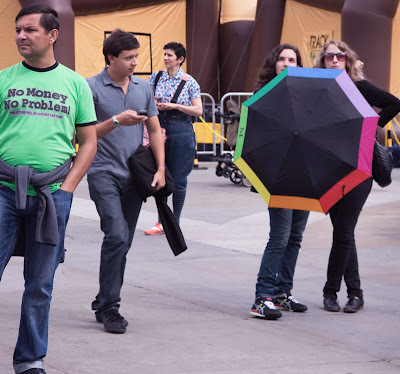 Love the T-shirt & love the umbrella!